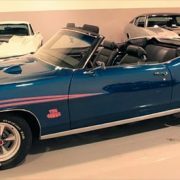 Very Rare Ram Air III Convertible 4 – Speed. 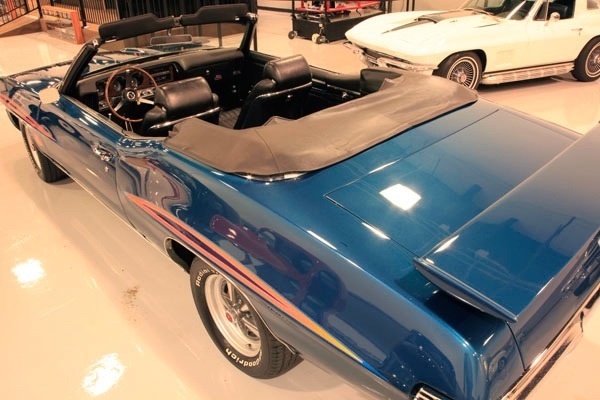 Total Frame Off – Rottisserie Restoration. 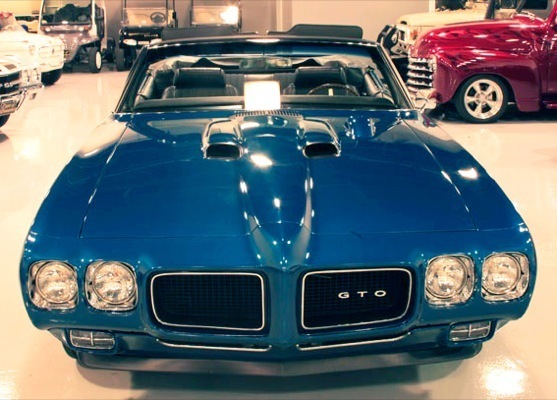 The GTO was the brainchild of Pontiac engineer Russell Gee, an engine specialist; Bill Collins, a chassis engineer; and Pontiac chief engineer John DeLorean. 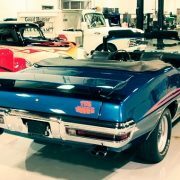 In early 1963, General Motors’ management issued an edict banning divisions from involvement in auto racing. 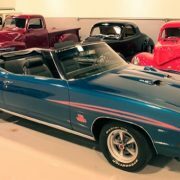 At the time, Pontiac’s advertising and marketing approach was heavily based on performance, and racing was an important component of that strategy. With GM’s ban on factory-sponsored racing, Pontiac’s young, visionary management turned its attention to emphasizing street performance. 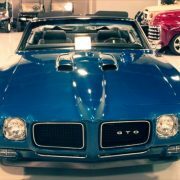 In his autobiography “Glory Days,” Pontiac chief marketing manager Jim Wangers, who worked for the division’s contract advertising and public relations agency, states that John DeLorean, Bill Collins and Russ Gee were indeed responsible for the GTO’s creation. 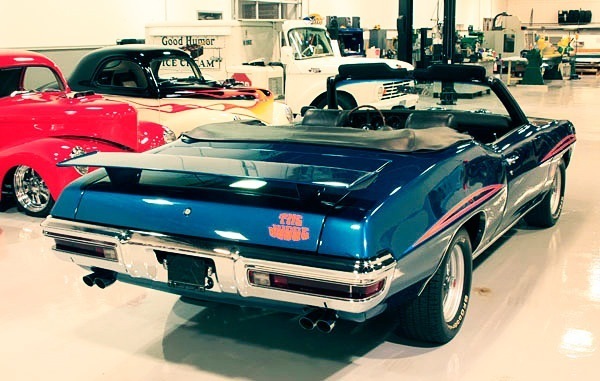 It involved transforming the upcoming redesigned Tempest (which was set to revert to a conventional front-engine, front transmission, rear-wheel drive configuration) into a “Super Tempest” with the larger 389 cu in (6.4 L) Pontiac V8 engine from the full-sized Pontiac Catalina and Bonneville in place of the standard 326 cu in (5.3 L) Tempest V8. 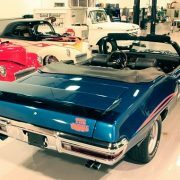 By promoting the big-engine Tempest as a special high-performance model, they could appeal to the speed-minded youth market (which had also been recognized by Ford Motor Company’s Lee Iacocca, who was at that time preparing the Ford Mustang). The name, which was DeLorean’s idea, was inspired by the Ferrari 250 GTO, the successful race car. It is an Italian abbreviation for Gran Turismo Omologato, (exact translation is Grand Tourer Homologated) which means officially certified for racing in the Grand tourer class. 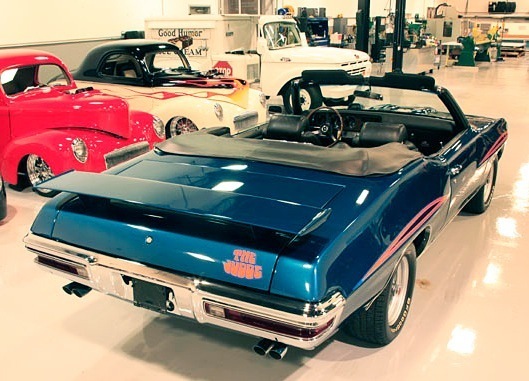 The name drew protest from purists, who considered it close to sacrilege. 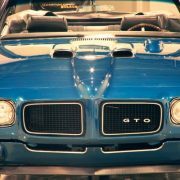 The GTO was basically a violation of GM policy limiting the A-body intermediate line to a maximum engine displacement of 330 cu in (5.4 L). 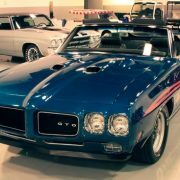 Since the GTO was an option package and not standard equipment, it could be considered to fall into a loophole in the policy. 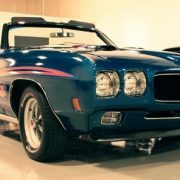 Pontiac General Manager Elliot “Pete” Estes approved the new model, although sales manager Frank Bridge, who did not believe it would find a market, insisted on limiting initial production to no more than 5,000 cars. Had the model been a failure, Estes likely would have been reprimanded. As it turned out, it was a great success. 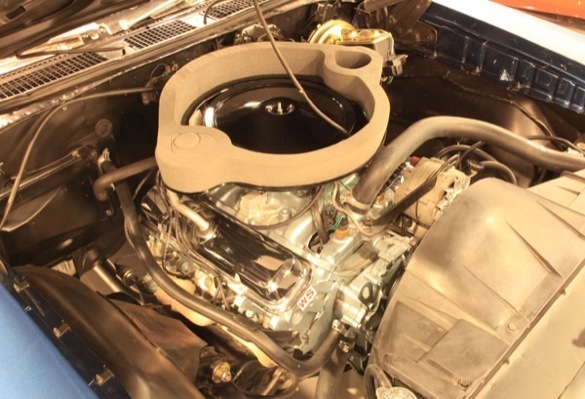 A new option was Pontiac’s 455 HO engine (different from the round-port offerings of the 1971-72 cars), available now that GM had rescinded its earlier ban on intermediates with engines larger than 400. 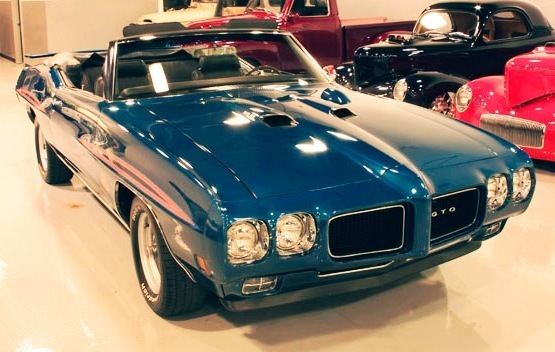 The 455, a long-stroke engine also available in the full-size Pontiac line as well as the Grand Prix, was dubiously rated by Pontiac as only moderately stronger than the base 350 HP 400 cu. in. 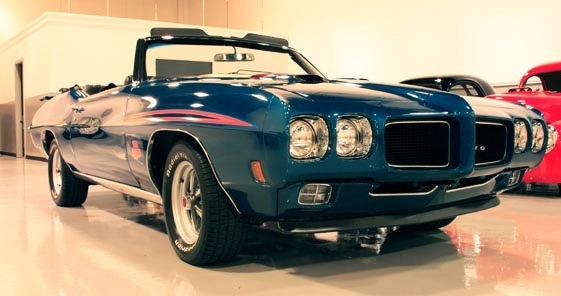 and less powerful than the 366 hp (273 kW) Ram Air III. 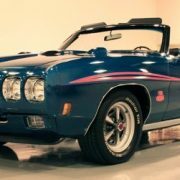 Curiously, per the Pontiac brochure of the time, the same spec 455 installed in the Grand Prix model was rated at 370 horsepower (280 kW). 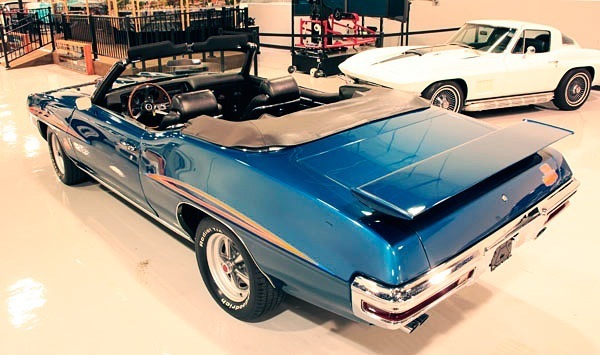 The camshafts used in the Ram Air III and the GTO 455 HO were the same. 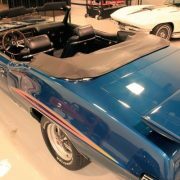 For example the manual transmission 455 HO’s used the same 288/302 duration cam as the Ram air III. The 455 was rated at 360 hp (270 kW) at 4,300 rpm. 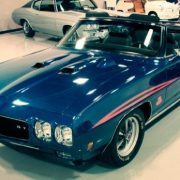 Its advantage was torque: 500 lb·ft (678 N·m) at 2,700 rpm. 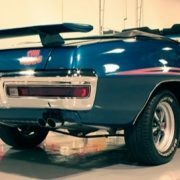 A functional Ram Air scoop was available. 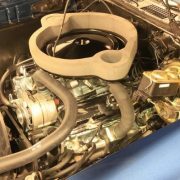 Car and Driver tested a heavily optioned 455, with a four-speed transmission and 3.31 axle and recorded a quarter mile time of 15.0 seconds with a trap speed of 96.5 mph (155.3 km/h) . 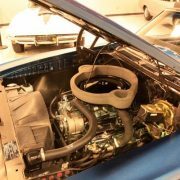 Car Life’s Turbo-Hydramatic 455, with a 3.35 rear differential, clocked 14.76 seconds at 95.94 mph (154.40 km/h), with identical 6.6 second 0-60 mph acceleration. Both were about 3 mph (4.8 km/h) slower than a Ram Air III 400 four-speed, although considerably less temperamental: the Ram Air engine idled roughly and was difficult to drive at low speeds. 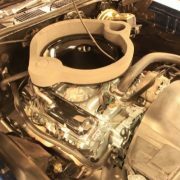 The smaller displacement engine recorded less than 9 mpg-US (26 L/100 km; 11 mpg-imp) of gasoline, compared to 10 mpg-US (24 L/100 km; 12 mpg-imp)-11 mpg-US (21 L/100 km; 13 mpg-imp) for the 455. 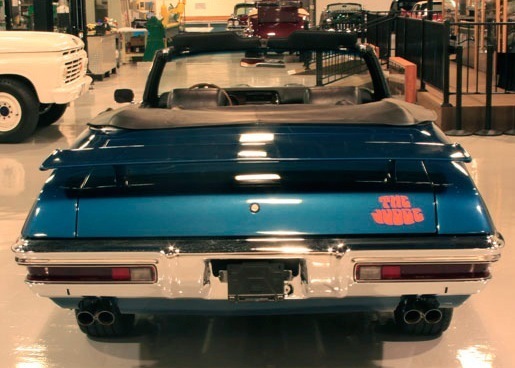 A new and short-lived option for 1970 was the Vacuum Operated Exhaust (VOE), which was vacuum actuated via an underdash lever marked “EXHAUST.” The VOE was designed to reduce exhaust backpressure to increase power and performance, but it also substantially increased exhaust noise. The VOE option was offered from November 1969 to January 1970. 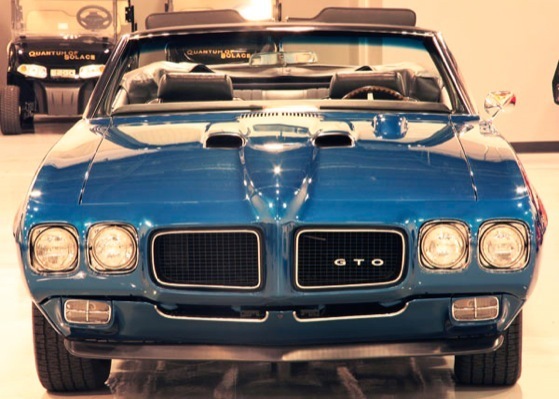 Pontiac management was ordered to cancel the VOE option by GM’s upper management following a TV commercial for the GTO that aired during Super Bowl IV on CBS January 11, 1970. 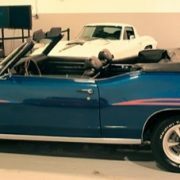 In that commercial, entitled “The Humbler,” which was broadcast only that one time, a young man pulled up in a new GTO to a drive-in restaurant with dramatic music and exhaust noise in the background, pulling the “EXHAUST” knob to activate the VOE and then left the drive-in to do some street racing. That particular commercial was also cancelled by order of GM management. 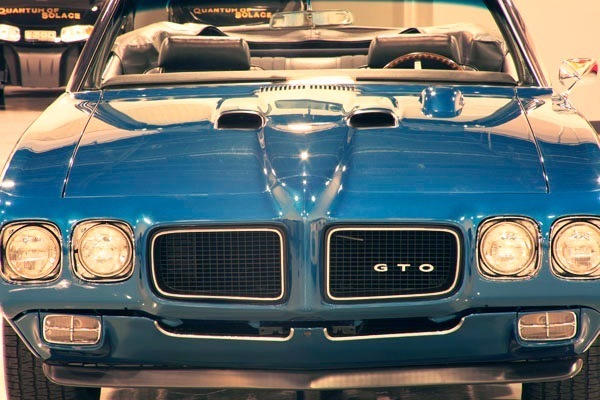 Approximately 233 1970 GTOs were factory built with this rare option including 212 hardtop coupes and 21 convertbiles, all were “YS” 400ci 350 hp/with either four-speed manual or Turbo Hydra-matic transmissions. 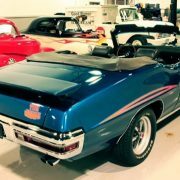 This particular GTO in the commercial was Palladium Silver with a Black bucket interior. 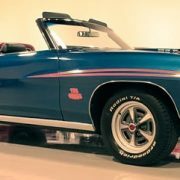 It was unusual in several respects as it also had the under-dash “RAM AIR” knob just to the right of the VOE knob, and it sported ’69 JUDGE stripes, as a few very-early ’70 GTOs could be ordered with. 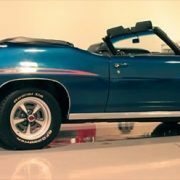 It also had a Turbo Hydra-matic transmission, remote mirror, Rally II wheels, A/C, Hood Tach, and a new-for-1970 Formula steering wheel. 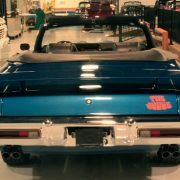 A few ‘VOE’ mufflers were “Hand-made” for the remaining cars; this occurred in 2006 and 2007, and they are now available from Waldron Antique Exhaust. 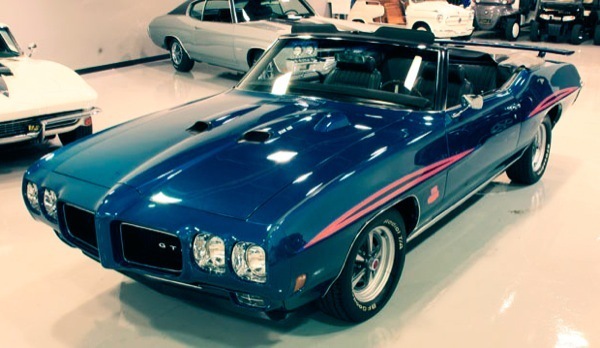 The Judge remained available as an option on GTOs. 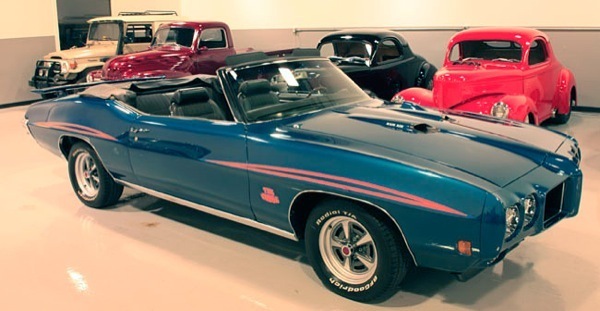 The Judge came standard with the Ram Air III, while the Ram Air IV was optional. 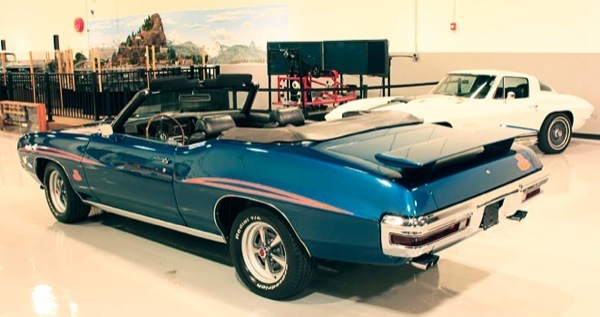 Though the 455 CID was available as an option on the standard GTO throughout the entire model year, the 455 was not offered on The Judge until late in the year. 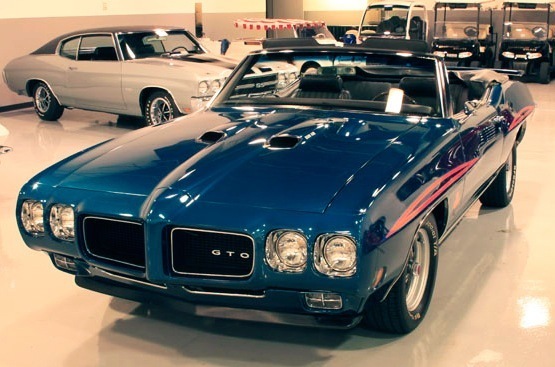 “Orbit Orange” became the new standard color for the ’70 Judge, but any GTO color was available on The Judge. Striping was relocated to the upper wheelwell brows. 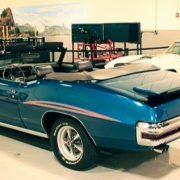 An Orbit Orange 1970 GTO with the 455 engine and Turbo Hydra-Matic transmission was one of the featured cars in the movie Two-Lane Blacktop, which depicted a cross-country race between the new GTO and a 1955 Chevrolet Bel Air. 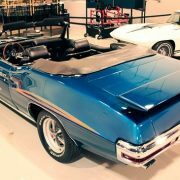 The car, owned by the studio, was not depicted as a Judge; however, in reality it WAS a RAIV powered Judge. They mentioned the 455 engine as it projected a more powerful offering to the public. 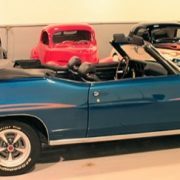 The new styling did little to help declining sales, which were now being hit by sagging buyer interest in all musclecars and by the punitive surcharges levied by automobile insurance companies, which sometimes resulted in insurance payments higher than car payments for some drivers. Sales were down to 40,149, of which 3,797 were The Judge. 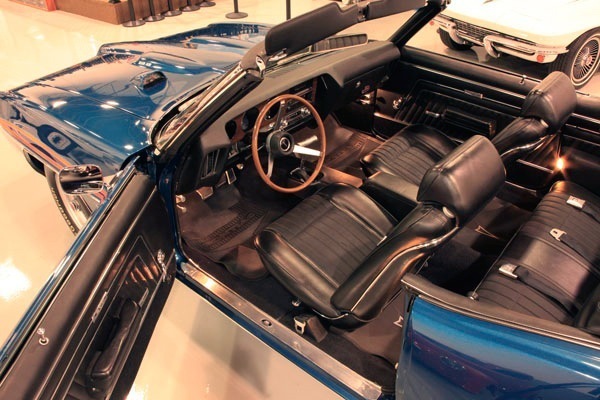 Of those 3,797 Judges built, only 168 were ordered in the Convertible form: RA III, RA IV and 455HO. 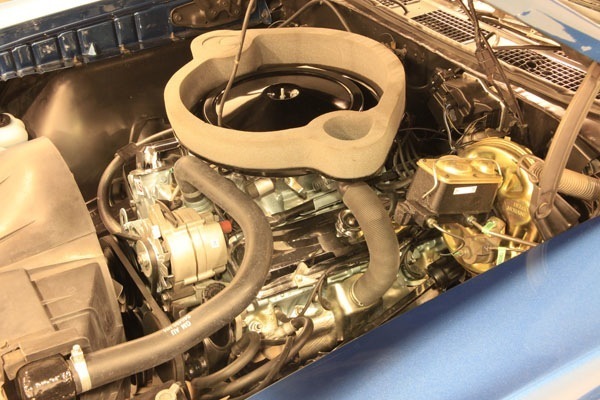 The general consensus is that six of the 168 built were ordered with the 1970-only D-Port 455HO 360 hp (270 kW) engine, a no-cost option, which explains the conflicting production figures over the years as to how many were built; 162 vs. 168. 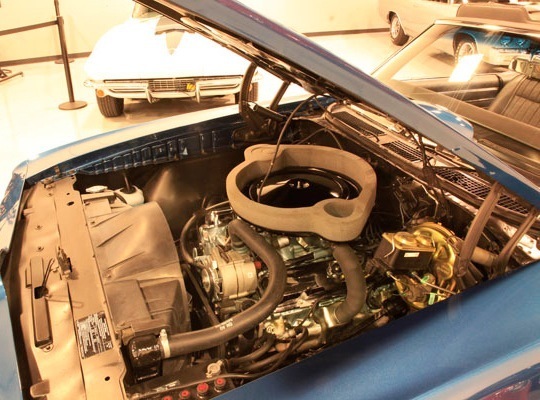 The ’69/’70 ‘Round-Port’ RA IV engine, a derivative of the ’68½ ‘Round-Port’ RA II engine, was the most exotic high-performance engine ever offered by PMD and factory-installed in a GTO or Firebird. 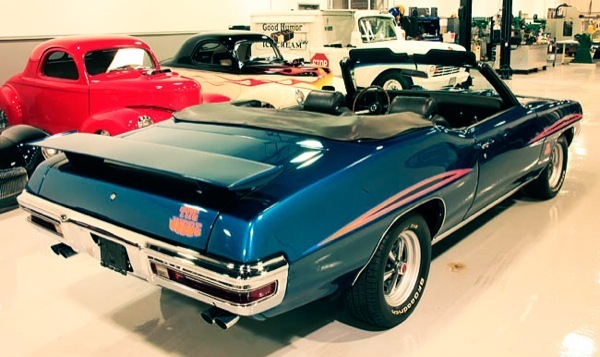 The 1969 version had a slight advantage as the compression ratio was at 10:75:1 as opposed to 10.5:1 in 1970. 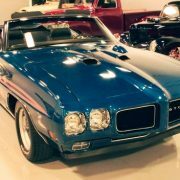 It is widely known that PMD was losing $1,000 on every RA IV GTO and Firebird built, and the RA IV engine was highly under-rated at 370 hp (280 kW). 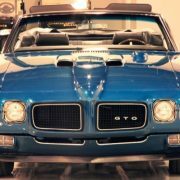 Overall, only a precious 37 RA IV GTO Convertibles were built in 1970: (24) 4-Speeds and only (13) automatics. 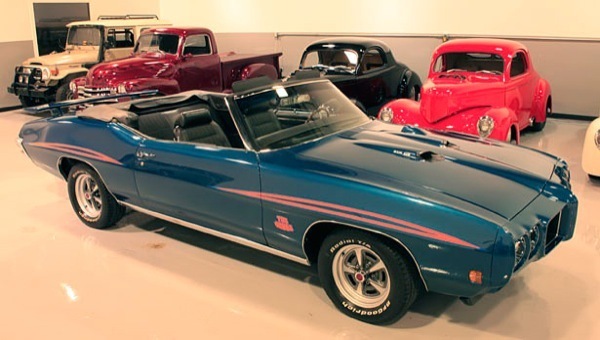 Of the (13) ’70 GTO RA IV/Auto Convertibles built only a precious six (6) received the Judge option. 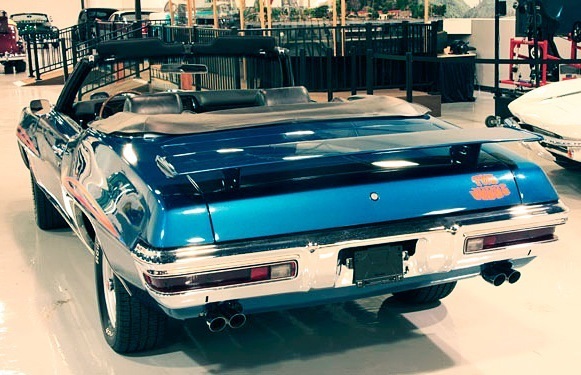 One of those, a #’s-Matching Atoll Blue/Blue/White top example was bid to $240K @ the May 2009 Mecum Auctions in Marengo, Illinois, and did NOT sell. 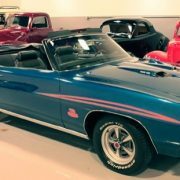 Th low bid was attributed to the stagnant economy, and that particular car is documented back to the original owner in Pewaukee, Wisconsin. 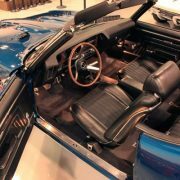 The three-speed manual, nor A/C, was not available with the RA IV engine, and the standard axle ratio was 3.90, with the 4.33 being a low-cost option. 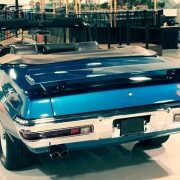 The GTO remained the third best-selling intermediate muscle car, out-sold only by the Chevrolet Chevelle SS 396/454 and Plymouth Road Runner.